Jay was inspired to start Epiphany Kitchens when he had an epiphany of his own. While sitting on a bench eating an ice cream cone, he spotted a "For Lease" sign on the building that would eventually become Epiphany Kitchen's showroom. Jay realized there was a need for high-quality kitchen remodeling at honest and fair prices. Driven by his lifelong passion for renovating homes, Jay founded Epiphany Kitchens in 2006 and has been dedicated to providing beautiful, timeless designs and exceptional work for every customer ever since. Do it right, or don’t do it at all. Epiphany Kitchens is committed to creating an outstanding customer experience through professional standards and personalized attention. We help our customers through every step of the remodeling process and never compromise on materials, design, or labor. To us, close enough is never good enough. The kitchen is the heart of the home, meant for bringing together families and friends. Therefore, we want to provide our customers with the kitchen of their dreams, so they can focus on making meals and memories in a functional and beautiful space. Every kitchen remodel starts with your vision, then our designers work with you to turn concepts into reality. Jay is the president and founder of Epiphany Kitchens. After graduating from Michigan State University, Jay worked as a residential heating and cooling sales rep for Trane, quickly being promoted to sales manager and later starting his own heating and cooling business. Over the years, he has owned multiple home improvement companies and led the turnaround of one of the nation's oldest kitchen resurfacers. Jay has always been passionate about restoring homes and has flipped 19 homes with Sharon, his wife of 35 years. His favorite part of remodeling kitchens is the initial consultation with customers, seeing people's faces light up when they realize how just how amazing their kitchen can be. Outside of work, Jay loves to spend time with his wife and golf, in that order. Sherry graduated from Michigan State University with a degree in business and worked as a manager at Hudson’s Department Store for several years. She has been with Epiphany Kitchens from the very start in 2006. In addition to managing the books and accounts, Sherry also works with our photographers to stage the finished projects. Her favorite part of the job is seeing a remodel from start to finish and working with clients to make their dreams come true. When Sherry is not working, she enjoys traveling and spending time outdoors, especially golfing and skiing. Tony attended the University of Michigan and graduated with a degree in marketing and project management from Oakland University. He has been working in design since he was just 16 years old, but it was in college that he realized the creativity and interactive process of designing homes was more than a job, but a passion. His favorite part about remodeling kitchens and bathrooms is creating a space that is not only beautiful but functional as well. When Tony is not working, he enjoys spending quality time with his wife and two young daughters. He also competes in drag racing and loves cars almost as much as kitchens. 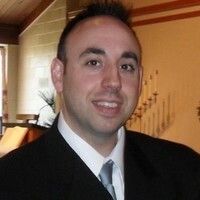 Raffi has a degree in civil engineering from the University of Michigan with a concentration in construction management. He first became interested in kitchen and home design while working at Sears, where he was the lead sales manager of the entire kitchen and bath division in the state of Michigan. Raffi has been with Epiphany Kitchens for the last 4 years and enjoys combining his background knowledge in project management with his passion for creating beautiful homes. His favorite part of each project is seeing customers’ excitement and reactions to seeing thoughts and ideas become design reality. Outside of work Raffi loves to ski, travel, and cheer on his three kids during their sporting events.